Shinichiro Imai of the Washington University School of Medicine (WUSM) has led a study that identifies the brain region in which a specific protein can trigger a delay in the onset of the aging process. Imai’s team based its study on a long line of mouse research suggesting that calorie-restricted diets increase the production of a protein called Sirt1 which appeared to extend life spans. In an effort to ascertain the location of the mechanism responsible for extending life spans, the Imai study used two types of mice genetically modified to overproduce the Sirt1 protein. One type overproduced the Sirt1 protein in body tissues while the other type, known as BRASTO, overproduced the Sirt1 protein only in the brain. Despite the lack of any dietary restriction the BRASTO mice showed marked improvements in their skeletal muscle and a dramatic increase in physical activity, body temperature and oxygen consumption compared with mice not genetically engineered to overproduce Sirt1 in their brain. The BRASTO mice also slept more deeply. Most importantly, the life spans of the BRASTO mice increased 16% for females and 9% for males, the equivalent of 8 to 14 years for humans. Another significant difference noted among the BRASTO mice was a delay in deaths due to cancer. “What we have observed in BRASTO mice is a delay in the time when age-related decline begins,” noted Imai, contradicting popularly-held beliefs about the impact of Sirt1 overproduction. “So while the rate of aging does not change, aging and the risk of cancer has been postponed. Imai’s team traced Sirt1’s impact on aging to the hypothalamus, specifically the dorsomedial and lateral hypothalamic nuclei, and identified genes related to those areas that respond to elevated levels of the Sirt1 protein by sending nerve signals that delay the onset of the aging process. “We found that overexpression of Sirt1 in the brain leads to an increase in the cellular response of a receptor called orexin type 2 receptor in the two areas of the hypothalamus,” said Akiko Satoh, a postdoc in Imai’s lab who served as the study’s first author. “We have demonstrated that the increased response by the receptor initiates signaling from the hypothalamus to skeletal muscles,” she said. but noted that the team hasn’t yet discovered the signaling mechanism that delays aging of the skeletal muscle. The results of the study has encouraged Imai to believe that they may soon be able to pinpoint and ultimately manipulate the brain’s “control center of aging and longevity” in order to preserve youth and extend life spans in mammals other than mice. Success in that pursuit would be tantamount to the discovery of a fountain of youth. The results of his team’s study were published in the September 3 issue of Cell Metabolism. Shinichiro Imai is an associate professor in WUSM’s departments of developmental biology and medicine and a noted expert in aging research. 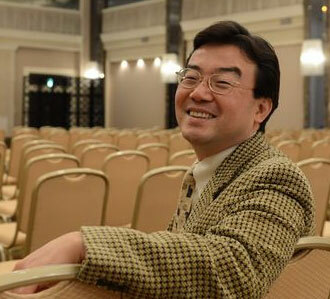 He obtained his MD and a PhD from the Keio University School of Medicine in 1995. He taught at Keio until 1997, then conducted postdoctoral fellowship in the biology department of the Massachusetts Institute of Technology from 1997 to 2001. From then until 2008 he served as an assistant professor in WUSM’s Department of Developmental Biology before becoming an associate professor there. Imai has received many awards and honors in the field of aging research, including the Ellison Medical Foundation Senior Scholar in Aging Award (2008-2012), the Longer Life Foundation Pilot & Feasibility Award (2008-2010), the WUSM 2008 Distinguished Investigator Award, and the Glenn Award for Research in Biological Mechanisms of Aging (2007-2008). University of Washington Medical School professor Shinichiro Komai has identified a brain mechanism that delays the onset of the aging process.